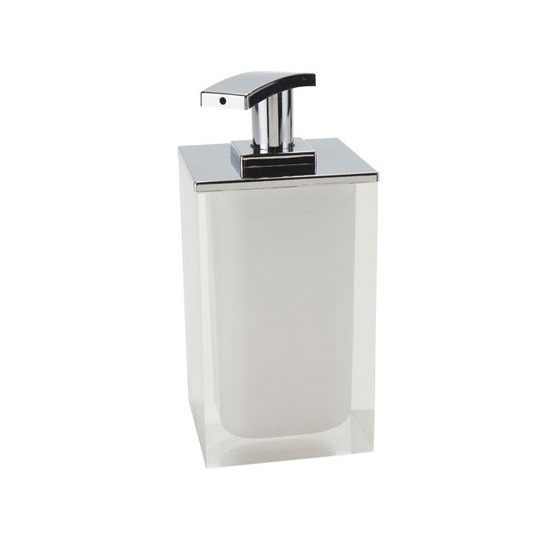 Gedy has added a newly designed soap dispenser to their already popular Rainbow collection. This dispenser is a free standing dispenser made from thermoplastic resins and cromall and is available in a white finish. The chrome pump has a sleek curvature, giving way to a new modern look. It is perfect for the contemporary bathroom.